Doesn't Kristen Stewart look thrilled to be recognized and photographed in the middle of nowhere, in the Isle of Wight, at New Year's Eve, with Robert Pattinson? It's like, in a second, she's going to put her fangs out! "My friend went up to Kristen who seemed shocked." After Facebook, came Twitter madness and, basically, social networks killed the magic of the moment for them. And loved, loved the "Middle of Nowhere" really existing! 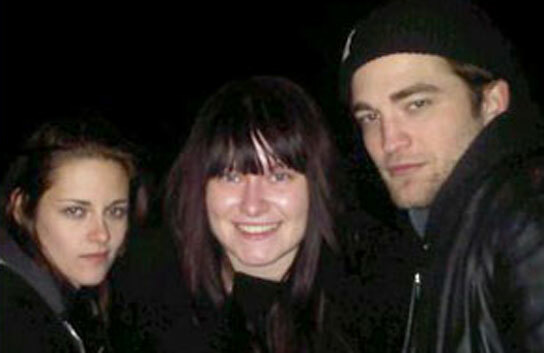 I've just remebered, isn't this Isle of Wight the same place where Rob and KStew spent the New Year's eve last year?